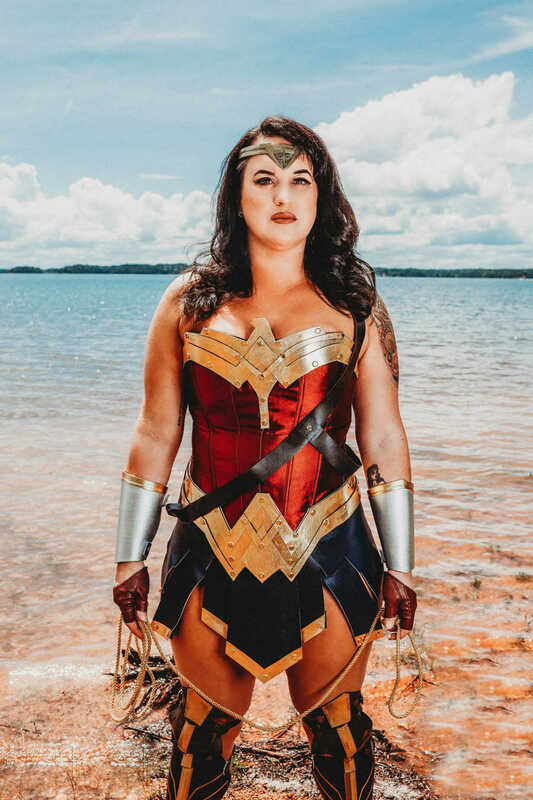 “When I was little, I watched re-runs of Wonder Woman on television. Seeing Lynda Carter fighting crime and being such a strong and confident woman in and out of the suit was something every girl would be lucky to see at that time. 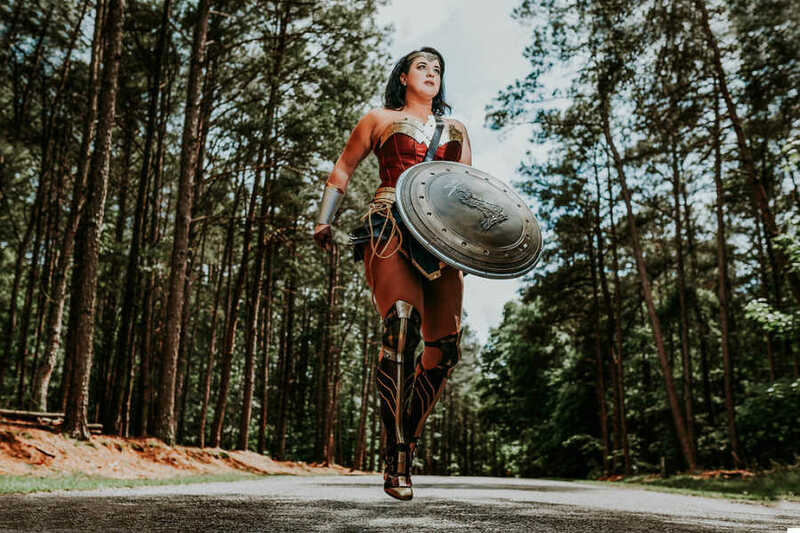 Strong female characters were not something of the norm back then and all I knew was that I wanted to be fierce like her. 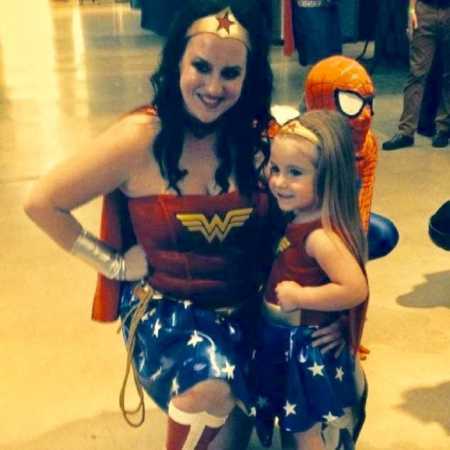 In 2014, a little girl’s dream started to come true and it couldn’t have come at a better time. My dad and stepmother were part of a group that was going to visit the local children’s hospital. 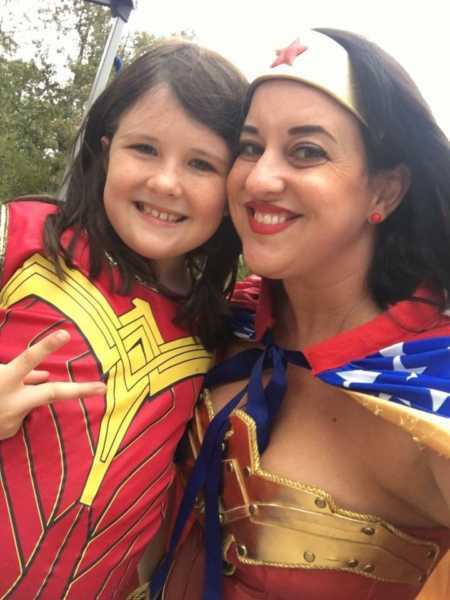 She told me that they had someone coming as Batman and Thor and volunteered me to dress as Wonder Woman. I was not sure this was something I would be cut out for as I was reserved and not confident like the character at all. However, not even a few days later, my first suit and set of boots arrived. It was no longer about me or how I felt, but it was completely about those kids and their smiles. The visit with my dad’s group was a good initiation into what would soon take a huge precedence in my life. I saw so many smiles, received so many hugs, and left the hospital with my heart filled and overflowing with joy. I had finally become something I had always hoped I would. I was making a difference somehow and some way. I’ll never forget my first visit to the children’s hospital with my new team. I was a mom of two kids myself and could not mentally prepare for what I was going to witness going in to those rooms that day. 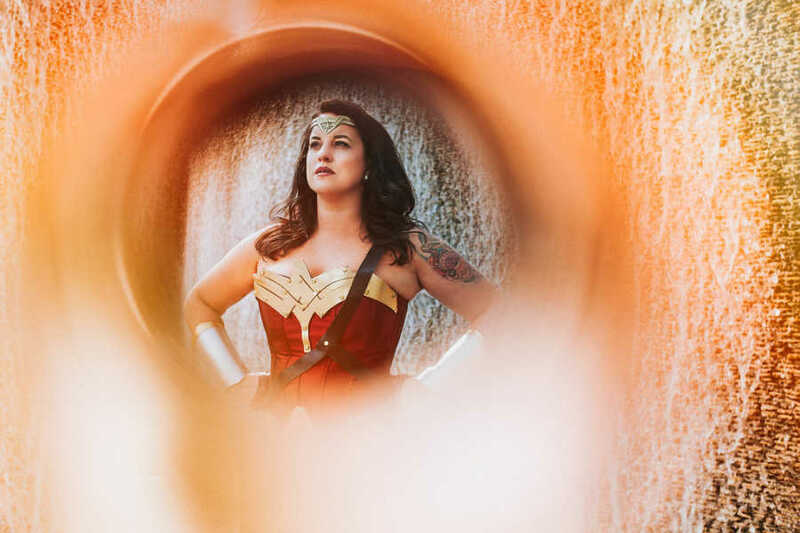 My kids have, for the most part, been healthy with little issues so I was not sure how I was going to remain in character. These kids needed to see me as happy, confident, and strong. I wasn’t so sure I could deliver. This particular morning, I had just read a local story about a child dubbed ‘Baby Andrew.’ He had been hospitalized only after a few months of being born due to Shaken Baby Syndrome. As our group made our rounds, we slowed to a corner room. I overhear our guide ask the nurse if Andrew’s family would like us to visit. My heart immediately sank. I asked the guide if this was the same child I had seen in the papers and on the news, and she confirmed it. I knew in that moment I had to put my whole heart in it for this family. As we walked in, I braced myself and put on my strongest and biggest smile. I immediately went to the baby’s basinet and saw so many wires and tubes attached to him. I looked at his family members in the room and saw how tired their faces were, how their eyes were filled with hope, and how much love they possessed for that tiny baby. As a mother, I couldn’t imagine having to see my child this way. I don’t remember exactly what compelled me to do so but the next thing I knew, I was wrapping my arms around the family and asking them if they would continue to keep me updated on his progress. 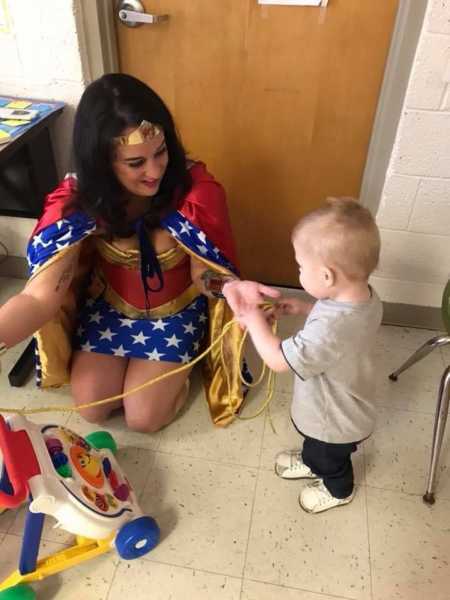 That family had never seen my face before that day but they allowed me to continue to visit once he was released, and a year later, I was invited to his first birthday party as it was superhero themed and Wonder Woman needed to be there. I still continue to stay in touch with them and visit Andrew as much as I’m allowed. He is the reason I knew that I could not stop doing this. Years later, tragedy struck near my hometown. A school shooter took a child’s life at a local elementary school in Townville, South Carolina. Hearing the news and watching the panic of fellow parents that had children there; I could not imagine what could be going through their minds. I was contacted by the local fire department and rescue squad to see if my group would be willing to attend the funeral of the little boy that lost his life. With no hesitation, we were there. The visitation was overwhelming as this incident had made national news. However, all I could think about was how young he was, what the family must be feeling, and why couldn’t superheroes be a real thing. To the kids in attendance, we were real and we were there to hug them and tell them things would be okay again. My team and I joined the local public service teams when the school reopened for the first time after the shooting. I remember how grateful the parents were when they arrived and saw us standing there. I remember some moms would hold my hand and kept thanking me repeatedly. I had never worked so hard to fight back tears but I knew what they were feeling and how they had to be strong for their kids too. In those moments, the parents needed to believe in us just as much as the kids did. From time to time, I am still stopped and thanked for what I didn’t feel was a big deal, but had impacted so many families in such a positive way. That is the good thing about small towns. They never forget a face and mine managed to be a light in a time of darkness. Throughout the years, I have met so many different people from all walks of life. Some that hugged me, took pictures with me, some that have cried with me, and others that have simply thanked me for bringing their favorite character to life. Every smile means so much to me but there are some stories that tug straight on the heart strings and have stuck with me harder than others and not all of them were attached to heartache or tragedy. 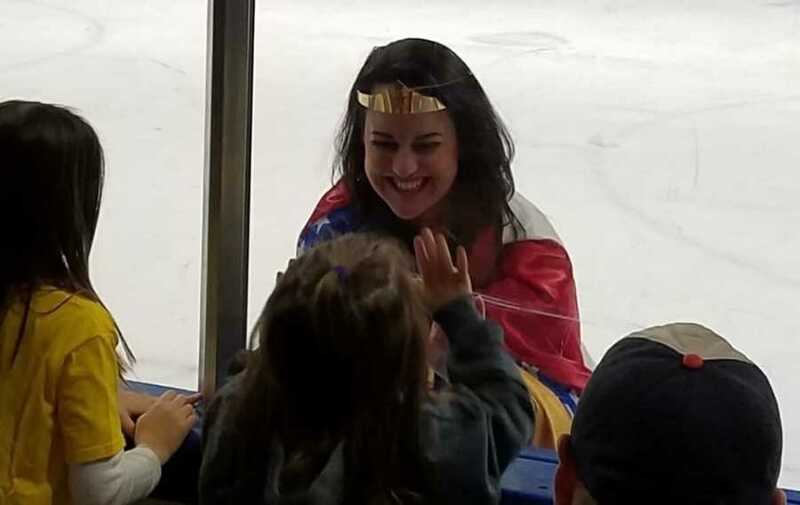 One of my most favorite events to attend is the local hockey team’s superhero night. It is something we join in on every year. The crowd is always amazing and the kids are absolutely beaming when they see us walk out. One year, I turned a corner and this little girl was in a full sprint running towards me. 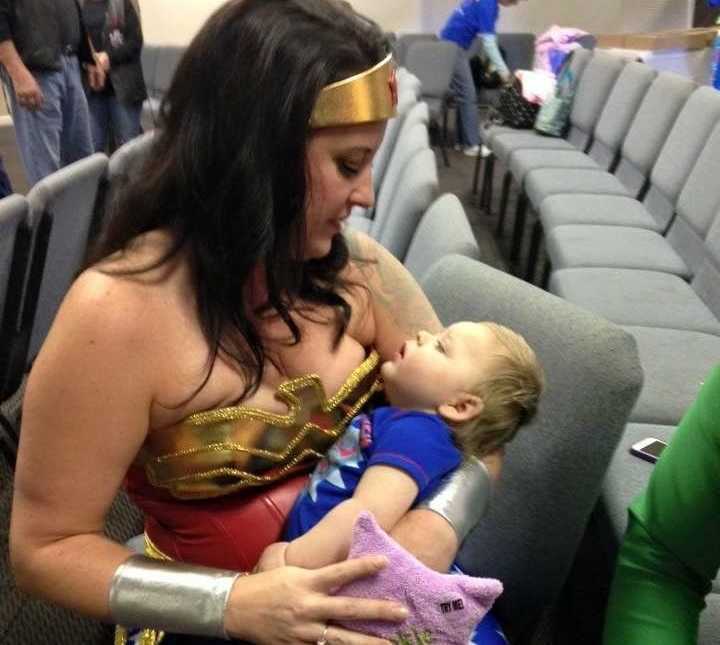 Her tiny Wonder Woman cape flapping behind her, but you could tell she was running as hard and as fast as she could. I couldn’t contain the smile that formed on my face and immediately dropped to my knees with my arms opened as wide as I could manage. She jumped in to my arms with such force that it almost knocked me over. She hugged me for a few minutes while her mom took pictures and then leaned back and grabbed my face. 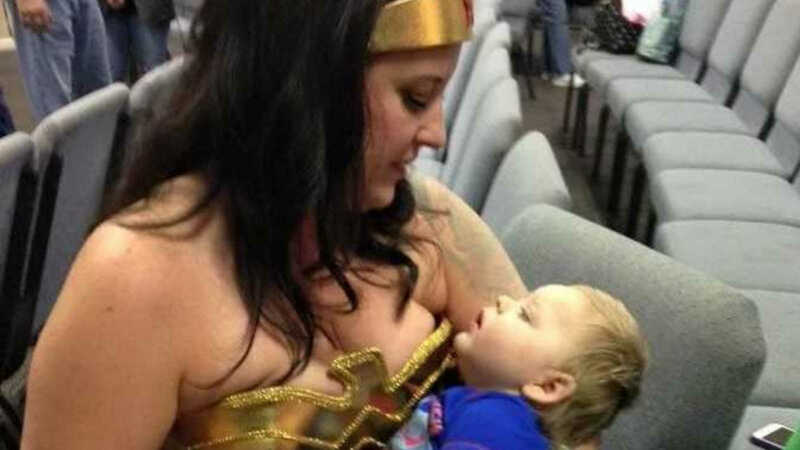 With the most stern of faces a child could muster, she looked me dead in the eyes and said, ‘Wonder Woman! I have been looking for you everywhere!’ She proceeded to hold my hand and tell me how she was going to be me when she grew up because I was so strong and filled with love… just like her. That picture is now framed and on my desk for those days that I may need the reminder myself. Over the years, I have teamed up with a local school in my area that specializes in development for children with disabilities. 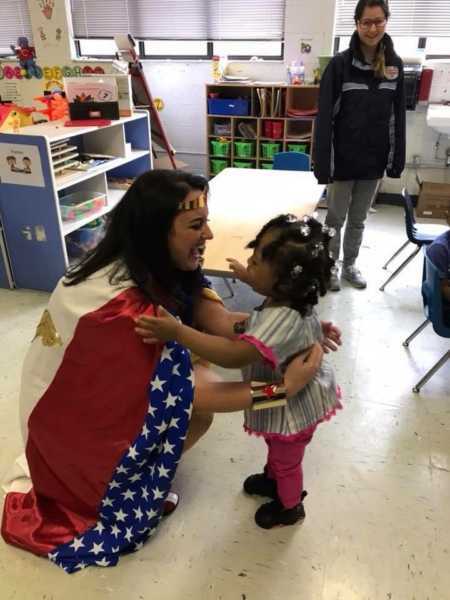 They have various events that I participate in and I make sure Wonder Woman visits them at their school from time to time. These children are exceptional in the sense they are each unique in how they respond to the world and their surroundings. However, what translates across the board is how they react when they see me walk in their classrooms. 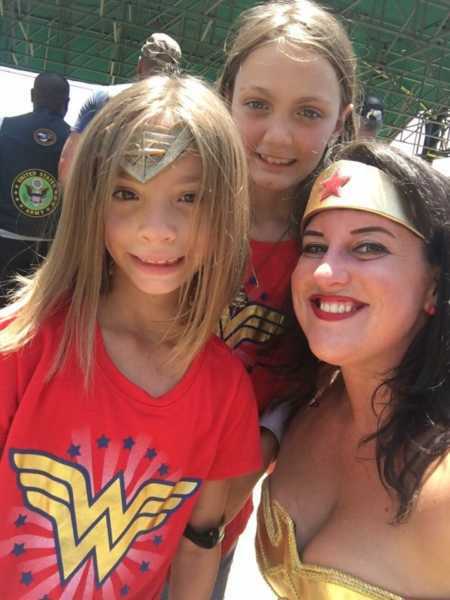 They may squeal with excitement, run towards me with the biggest hugs, give me the most beautiful smiles, or simply reach for my hand or lasso. Those are some of the moments I continue to carry throughout my life and cherish indefinitely. 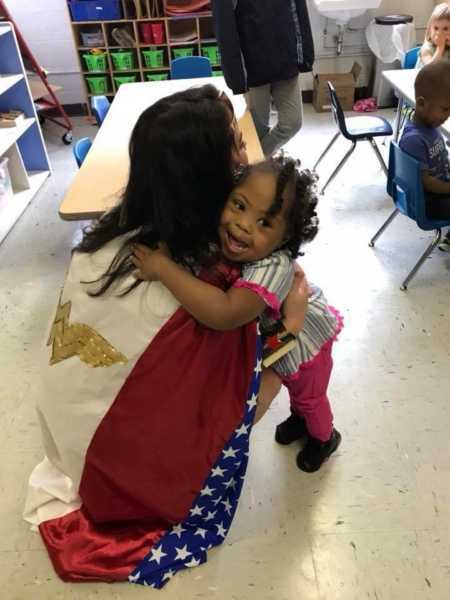 This story was submitted to Love What Matters by Katina Maravilla of Anderson, South Carolina. Submit your own story here, and subscribe to our best stories in our free newsletter here.